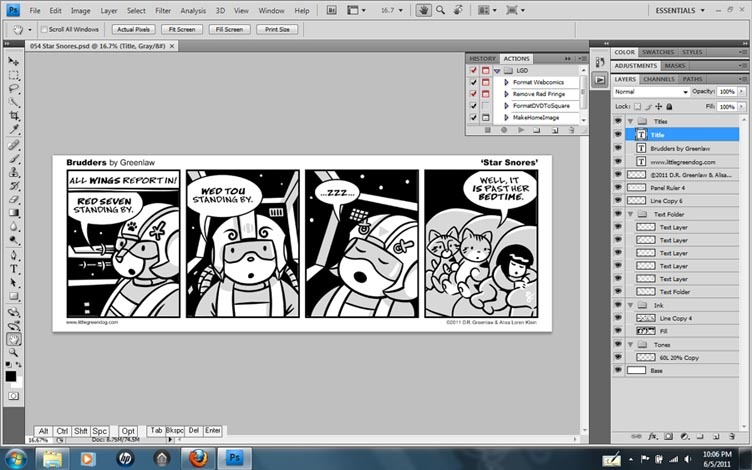 After I’m done drawing the comic strip in Manga Studio, I export the page as a Photoshop file. 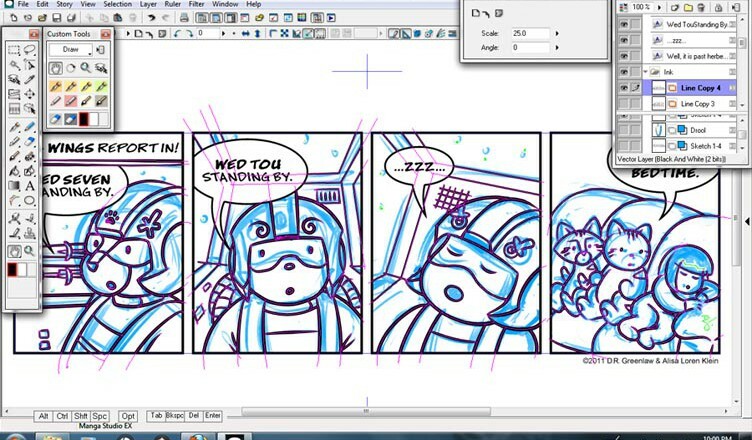 What’s nice about the way Manga Studio exports a file is that many of the layers are preserved for other programs, making it easy to break down the artwork for multiple applications, like buttons on a website, print media, or a T-shirt graphic. It also makes it easier to colorize or paint the artwork. For the web version of my comics, I use custom Photoshop Actions to apply the titles, and to format the strip in whole and parts for the website and blog.